The Missouri Adoptee Rights Act was enacted on August 28, 2016. The Act allows an adopted person or the adopted person’s attorney to obtain a copy of an adopted person’s original certificate of birth from the state registrar beginning January 1, 2018. The Bureau is processing applications received in the Bureau on January 25, 2018. Due to the varying number of requests received each day, the Bureau will not be able to provide a completion date for your request. The application form and additional information regarding the Missouri Adoptee Rights Act are available here. How do I request a vital record? Walk-in Customer Service hours are from 8:30 a.m. – 4:30 p.m. CST. Telephone customer service hours are 8 a.m. until 5 p.m., Monday through Friday, excluding state and federal holidays. 3:30 p.m. and have all required information needed to search for the certificate. Same day service is not guaranteed for certificate requests such as genealogy, paternity affidavits, adoption processing, corrections, amendments, birth/death certificate registration, etc. Missouri birth, death, marriage and divorce records are maintained by the Department of Health and Senior Services Bureau of Vital Records. Note: In the State of Missouri, vital records are not open to the general public and can only be obtained by the individual, guardian or other legal party. Policies and procedures for release of vital records information for legitimate research purposes can be found at Data, Surveillance Systems & Statistical Reports. Scroll to the heading Data Release Policies, Procedures and Guidelines. Many Missouri residents can obtain their birth, marriage and divorce records locally. People born in Missouri can obtain a copy of their birth certificate from any local public health department. Call (314) 613-3016 to speak to them by phone. Certified copies of marriage licenses are available from the Recorder of Deeds in the county where the license was obtained. Certified copies of divorce decrees are available from the Circuit Clerk in the county where the decree was granted. 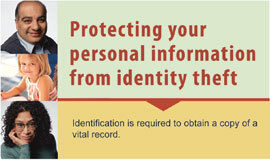 Fees for copies of vital records will be collected by the local agency providing the document. Fees for birth and death records are the same as those charged by the Bureau of Vital Records. The fee for marriage and divorce records are set by the agency issuing the documents, so the cost may vary. This office does not accept credit cards or online orders. However, for your convenience, documents can be requested by phone or online through an independent company that we have partnered with to provide this service -- VitalChek Network, Inc. An additional fee is charged by VitalChek for using this service, and all major credit cards are accepted, including American Express®, Discover®, MasterCard® or Visa®. To further expedite the request, overnight services are offered. Applications can be placed on-line at https://www.vitalchek.com or by phone, toll-free at 1-877-817-7363.